James Martin stepped out of the kitchen last night and onto the stage for the opening of his first live tour. The 35 date countrywide tour, Plates, Mates and Automobiles kicked off at Glasgow Royal Concert Hall and the ever popular celebrity chef was on top form. The fans were out in force and an enthusiastic crowd of around 2000 gave him a huge welcome. It’s been 20 years since the young, fresh faced, bandanna wearing chef first graced our TV screens on Ready Steady Cook. Since then he has become a firm favourite with viewers and has gone on to present a number of highly successful shows including Saturday Kitchen, James Martin Home Comforts and Operation Hospital Food. He’s also the author of 15 best-selling and award winning cookbook. If there were first night nerves they didn’t show and despite a few technical hitches the popular and down to earth Martin charmed the audience for over 2 hours in the cooking, talking and speed extravaganza. A comical introduction on the big screen by comedian Johnny Vegas gave the crowd a flavour of what to expect; the expectation of more than just cooking was in the title, Plates, Mates and Automobiles brought three of the chef’s loves to life. Sharing top billing in the mate stakes was his right hand man and sous chef, Chris Start. Between them it was a great double act with Start’s almost silent approach being highly entertaining. Martin spoke warmly of their long term friendship and as mates go it was clear that this was a good mate. As cooking demonstrations go it was well orchestrated between the two chefs, and, as the show got underway the pair comfortably maintained the upbeat routine with plenty of rousing cheers from the crowd. Nine recipes cooked up in two hours with plenty of added humour but interspersed with tales from his childhood and life as a young chef. He was on form when it came to the food and hygiene police. The bane of his life apparently, a reference to the complaints he regularly receives on Saturday kitchen for not washing his hands. A witty and unhygienic on stage rebellion got the thumbs up from the audience. Cooking and mates aside, cars, mainly fast cars are his other love and a quick spin on the video screen gave an insight into his world of Ferrari’s, Formula One racing cars and Mercedes. It was a peek into his expensive indulgences; the trappings of a successful career, but he also acknowledged the public and the viewers who have supported his career, particularly those who buy his books and cookware. The author of 15 best-selling and award winning cookbook, James also endorses several kitchen products including the James Martin saucepans and knives with Stellar Cookware. Every show needs a good finale and Martin stepped out of his comfort zone to confirm that he was indeed a man of many talents. The audience had been promised a night of surprises and with pots and pans aside he ended the show on a musical note. 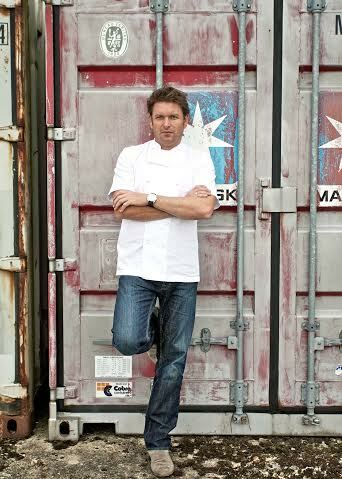 James Martin as you’ve never seen him before. Guitar in hand, supported by another mate, his guitar teacher of several weeks. There was a song and although singing is obviously not his strong point, the audience loved his musical performance and even gave him a standing ovation. Very entertaining although after the musical finale giving up the day job will surely not be an option. It was definitely a night of fun, the banter with the crowd was excellent and for a first live tour opening night, James Martin definitely served up success on a plate. James Martin – Plates, Mates and Automobiles runs until 23rd March 2016. Disclaimer. 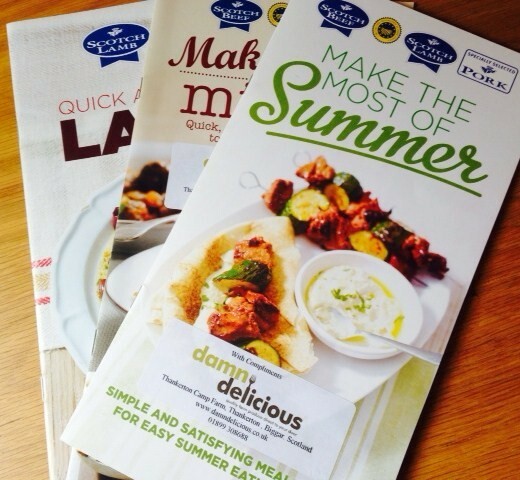 I reviewed James Martin, Plates, Mates and Automobiles on behalf of Stellar Cookware. Tickets for the show were provided. All opinions expressed are my own. The Stellar griddle pan was given a good road test in the Wee Pinch of Sugar kitchen. This particular pan is part of the Stellar Cast range and has the added feature of a ceramic coating, making it an ideal non stick cooking surface. To put the pan through it’s paces, I cooked several different foods and was impressed with the overall results. Scallops were perfectly cooked, one minute on each side and had the perfect charring. It was ideal for bacon and held 10 rashers of bacon, a bonus if everyone is queuing for a bacon roll. 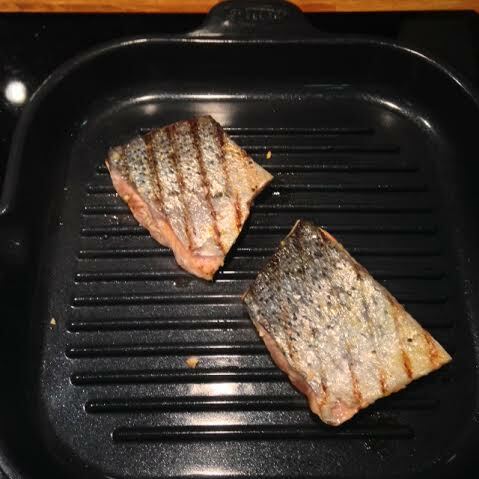 Two things I regularly griddle are steaks and salmon and both cooked perfectly; nice crisp skin on the salmon and the steak was cooked to perfection, charred on the outside and rare inside. Compared to other griddle pans I use, the Stellar pan has are several appealing features. The 28 x 28 cm pan is the perfect size if cooking for 4 people. It fits perfectly onto the largest cooking zone of my induction hob and although it’s a large pan, it’s not particularly heavy. The pan is suitable for all hob types and the instructions contain extra information about cooking on induction hobs due to the efficient transfer of heat. Heating the pan gradually is recommended and the pan should never be heated using the boost function unmonitored. 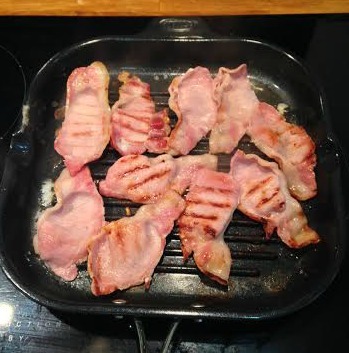 There’s nothing unusual about this and having used an induction hob for several years, it is the way I would normally heat any griddle or frying pan. 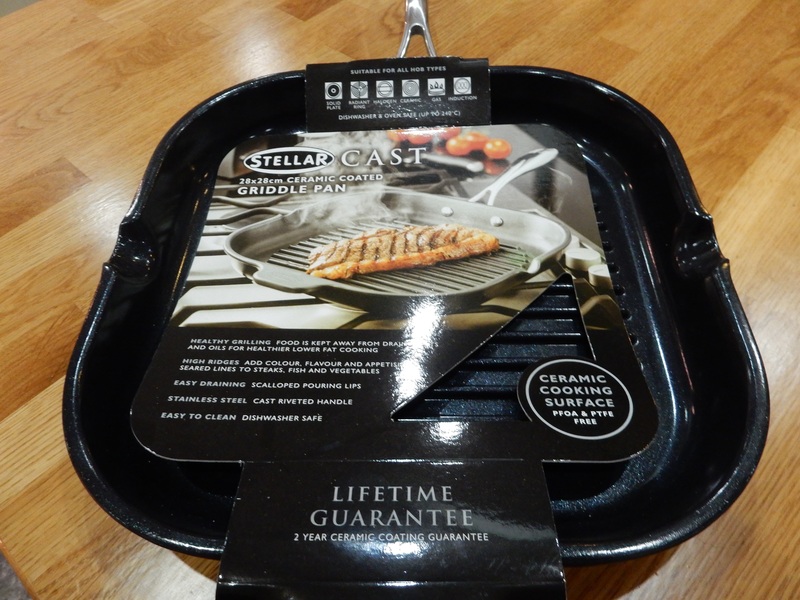 Other products in the Stellar Cast range can be viewed on the Stellar Cookware website. Disclaimer. 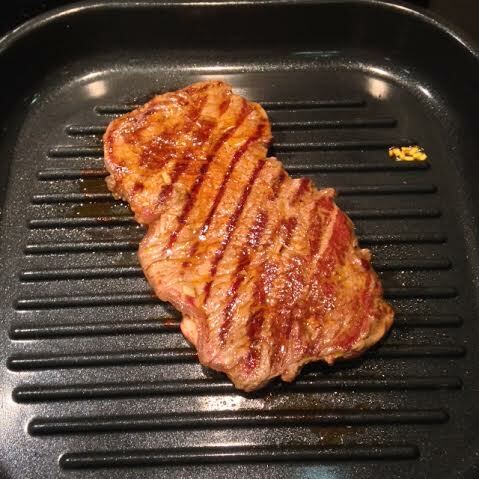 Stellar Cookware provided the cast griddle pan for this review. All opinions expressed are my own. Good quality pans and roasting tins are essential in my kitchen and it’s not always the most expensive that passes the test. With a busy kitchen I need equipment that’s durable, provides good heat conduction and is easy to clean. 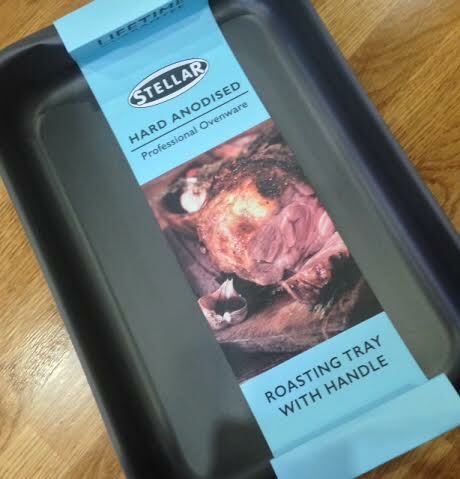 When Stellar Cookware recently launched the new Hard Anodised Ovenware range, I was more than happy to review one of the roasting tins from the collection. 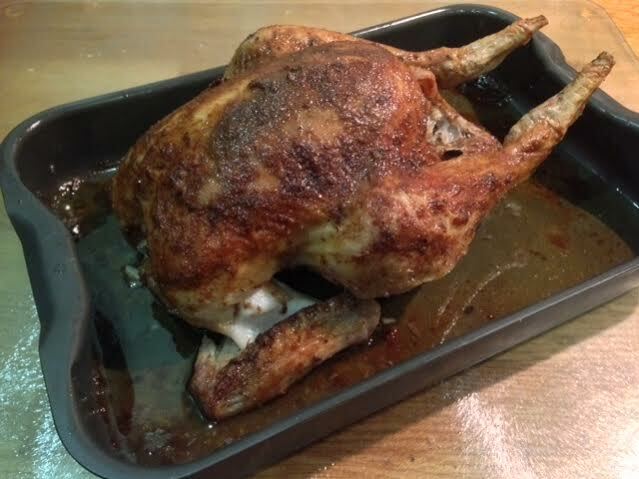 This roasting tin is available in 3 sizes and I reviewed the smallest tin – 32 x 22 x 5cm. 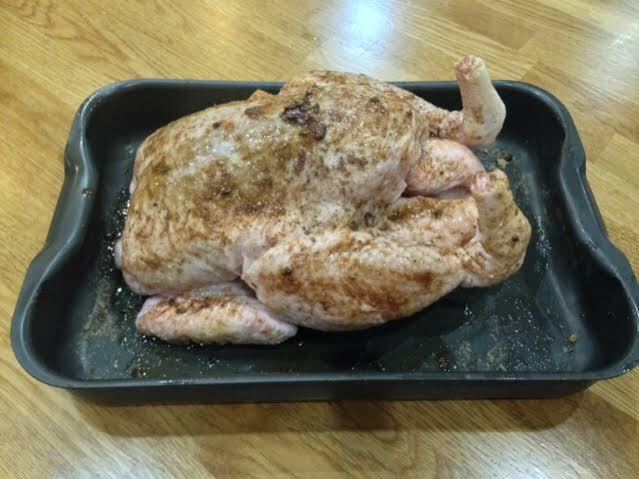 The tin is lightweight and will easily hold a family size chicken for roasting. 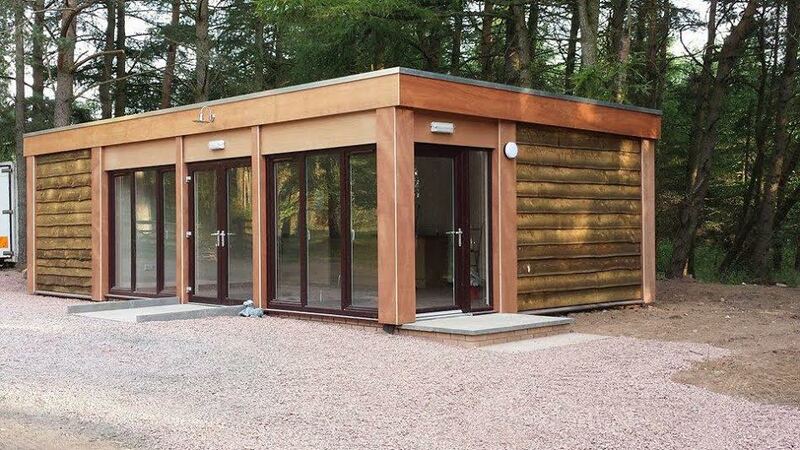 It has a hard anodised finish for unbeatable durabilty and the alloy construction provides for even heat distribution. The thicker gague means the tin can also be used on the hob and under the gill, up to 240C. 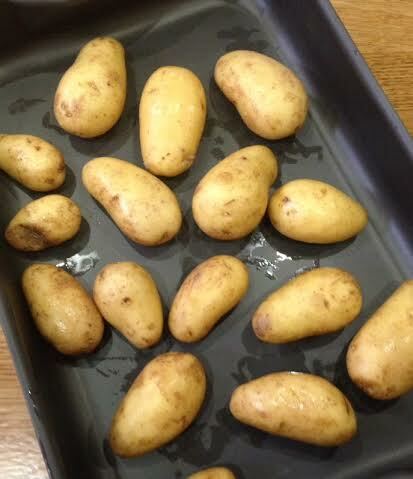 I tested the tin for roasting chicken, potatoes and vegetables. On all 3 tests it performed well, non stick quality was excellent and the tin washed like new. The handles are incorporated into the side of the roasting tin, a feature I really like and specifically tested the tin for. I have a habit of burning my wrists on the protruding handles of certain roasting tins, particularly when the hot tin is transferred from the oven to hob for further cooking. Hard anodised heavy gague material, abrasion resistant, can even use metal utensils. Efficient and even heat distribution for superior cooking and baking results. Suitable for oven use up to 240C – can also be used under the grill and also on the hob. Tis the season to be jolly, give presents, share and enjoy food with family and friends. But, before you get anywhere near Christmas day it’s gift shopping that causes the most angst. For me it just brings out my inner Bah Humbug as the shops gear up to fleece us with awful food. That mountainous, overpriced and over wrapped selection of food gifts that occupies shelf space, usually from September onwards. And, just don’t get me started on novelty food or all those gift packs bearing the smiling faces of celeb chefs. Now that I’ve got that off my chest, I should add that there are some very good quality, artisan food gifts available and that’s where I’ll be spending my money. Buying food gifts from some of my favourite small producers makes Christmas shopping so much easier and of course very satisfying. Over the next week I’ll be highlighting some of the gifts that have made it onto my shopping list this year and believe me not one will involve treking around shopping centres or supermarkets. First up is this artisan range of gourmet Aromachefery infused sea salts and oils from Kirsty Morrison at Zing Organics. Although herbs feature regularly in my cooking, I love the extra kick these oils and salts add to a finished dish. The infused sea salts are available in a range of natural flavours and will make a great gift for any food lover or cook. The fresh and sharp citrus flavour of lemon, or spicy black pepper, both perfect on fish and salads; or bring a distinctive depth of flavour to meat dishes with the herbal flavours of bay laurel, thyme, or rosemary. Don’t be misled by the size of the the gourmet infused aromacherfery oil concentrates. 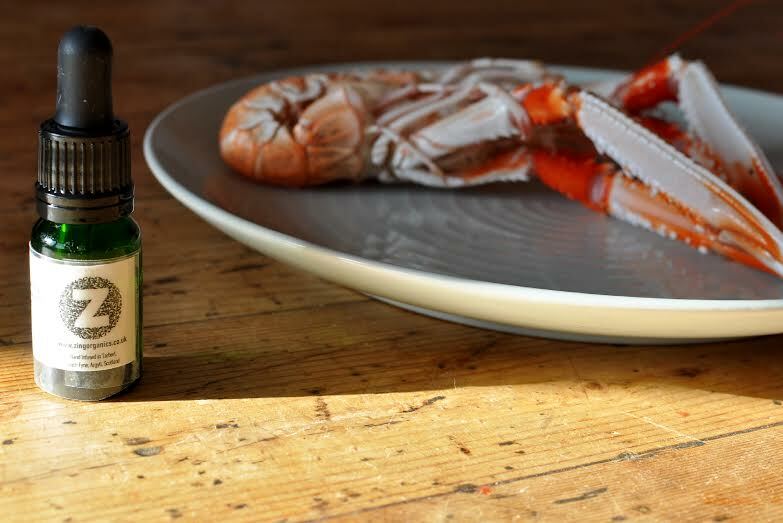 The small 8ml dropper bottles are intensively concentrated and one or two drops will add a delicious punch to food and take any dish up a notch. These are available in lemon, lime, bay laurel, thyme and rosemary and will transform the simplest of fresh food. For gin lovers, a stunning range of aromatic gin infused with organic essential oils will not disappoint. 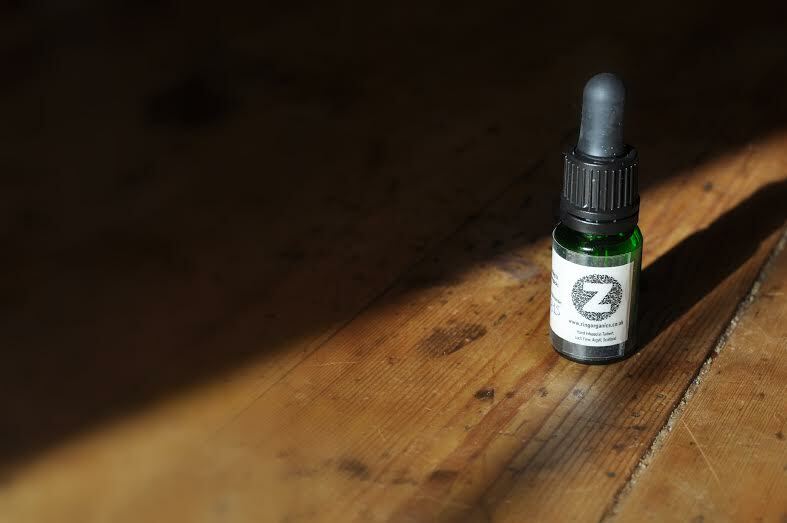 Each 20ml bottle has 200 servings and flavours include, green mandarin, lemon, lime, bourbon geranium, frankincense and patchouli. Perk up dishes like smoked salmon or smoked halibut, seafood and risotto or add a spray to sweet dishes such as sorbets and ice creams. 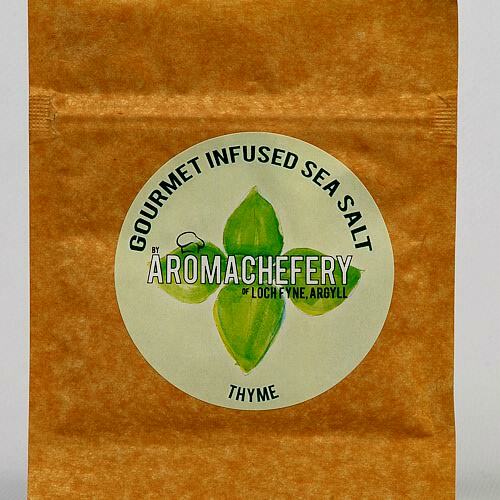 As you would expect from this high quality artisan range, Zing Organics aromachefery salts and oils contain only natural ingredients infused with food grade organic essential oils. They are superb products simply bursting with natural flavour along with the most delicious heavenly aromas. Disclaimer I was provided with a range of salts and oils to review by Zing Organics. 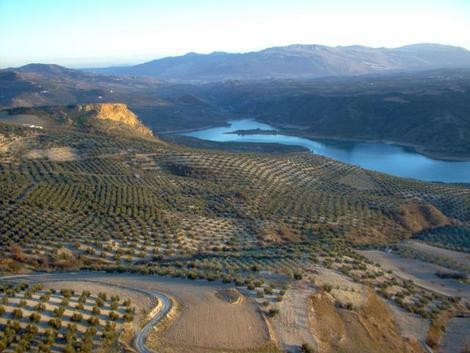 Buying a house complete with olive groves in Spain is one of those dreams that many of us have, but few ever achieve. Buying a derelict ruin in Spain sounds more of nightmare but that’s exactly what Kirkcaldy couple, Callum and Anne Marie Henderson did in 2007. Several years on and with a renovated house in Andalucian hills, Callum is now a member of the local olive oil cooperative and sells his extra virgin olive oil throughout the UK. The house, set in the on the western hills of Andalucia and adjacent to Priego de Cordoba and Jaen has the perfect conditions for growing fantastic olives – high rainfall, large temperature variations and soil with a high lime content. It’s an area dependent on olive farming, 540 farmers covering less than 10 hectares; a mill owned by the local farming cooperative, whole families and indeed a village working together to preserve traditional methods. With trees producing enough olives for around 125 litres of olive oil, Christmas for the Henderson family is spent in Spain harvesting olives. In the early days the oil was bottled with their own label but seven years on, the top quality oil they produce is part of the local cooperative, selling under the Orodeal range via their company Extra Virgin Spain. The cooperative currently produces three different olive oils from the Picudo and Hojiblanca and Picul olives and Callum and Anne marie are now regulars at some of Scotland’s markets and food festivals with their distinctively yellow coloured branded Orodeal oils. All Oredeal olive oils are unfiltered and may be slightly cloudy, but according to Callum filtering removes some of the flavour and it’s what makes his oils taste do good. Callum is also the UK partner for GreenOliveOil an initiative set up by the University of Cordoba to ensure that traditional Spanish artisan producers receive a fair price for their oils and to create a sustainable future for the producer, the farmers, their communities and way of life. All Orodeal olive oils are certified GreenOliveoil. Olive oil is a staple in my kitchen along with the range of other oils I use for cooking but with such a wide variety of olive oils, I like to keep a plentiful supply. Travelling abroad to olive oil producing countries, usually sees my bag crammed with a selection of the local olive oils, rather than the usual duty free perfume and alcohol. Being very much a ‘know your producer’ when it comes to food and with the Hendersons oils being part of their local cooperative, I was more than happy to try them when Callum sent a few for tasting. He also included some jars of the olive varieties used to produce the olive oil and it was interesting to taste these along with the final product . A family tasting was essential and everyone gave top marks to the Orodeal olive oils and olives, tasted along with crusty bread, quail eggs and basil leaves. Callum had sent two oils, Orodeal Single Variety and Orodeal Gold – The Orodeal Single Variety is produced from Picudo olives and due to the altitude of the olive grove has a sweeter fresher flavour. The olives are harvested early while still green producing a fresh green grassy aroma. It’s rightly described as an intense fruity flavour with hints of tomato, fresh apple and almonds developing into a bitter, spicy aftertaste. I’ve been using it mainly for dressings and for dipping with crusty bread. The second oil, the Orodeal Gold is produced from 80% Picudo olives and 20% Hojiblanca olives, giving a soft, fruity flavour. I really liked this fruity oil with it’s little spicy kick and it’s one I’ll definitely be keeping in the store cupboard. 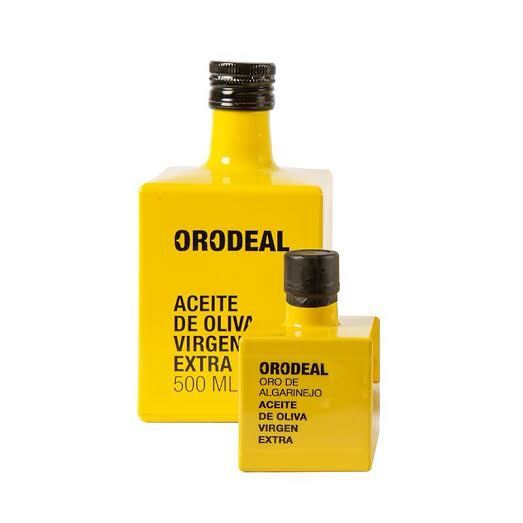 Orodeal Gold – available in a 3 litre box, vacuum packed to protect the oil from exposure to light and air. Callum tells me that the Orodeal Gold is a great all rounder and is also the oil preferred by some chefs including Scotland’s 2015 Chef of the Year, Craig Wood at TheWee Restaurant in North Queensferry, Fife. There’s also a limited edition oil produced from a very limited early harvest o f60% Picudo olives, 30% Hojiblanca olives and 10% Picual olives. This is described as as having hints of fresh cut grass, delicate tomato, fresh fruit and herbs – with a slightly bitter taste, definitely on my list to try. 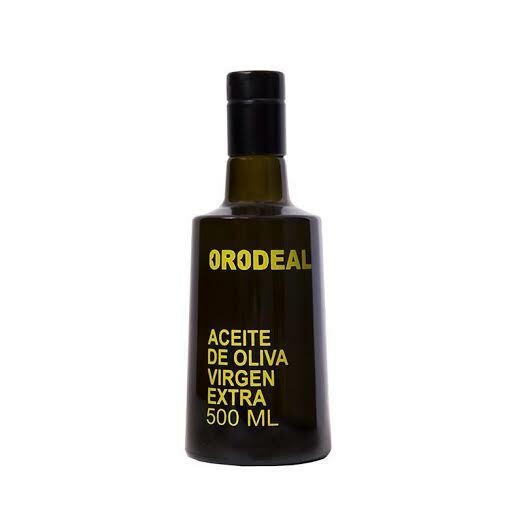 It was interesting to learn that Extra Virgin olive oil can have a Denominacion de Origin (DO) – similar to the status afforded to wines and food products like parma ham and certain cheeses – Orodeal is Denominacion de Origin Ponient de Granada. An internationally recognised system of certifying superior quality products. The DO is a internationally recognised system for recognising and regulating superior and unique quality products and producers from specific geographic sources. 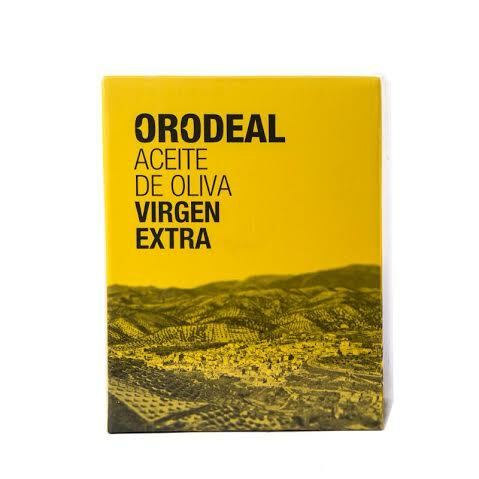 In the Uk Orodeal olive oil is available from Extra Virgin Spain and also at some Scottish markets and food festivals. Check the website for details. Some products I receive for review come with interesting facts and olive oil production is one of those. It’s been interesting to learn so much about about the history and the production of both olive oils and in particular Callum and Anne Marie’s Spanish oil. Here are some facts about Spanish olive oil. In 2014 the top 4 best olive oils in the world came from Andalucia and the region also produced 7 of the 10 best oils in the world. 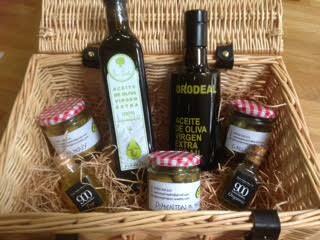 In the UK Orodeal olive oil is available from Extra Virgin Spain and also at some markets and food festivals. Check the website for details. It’s a nice change to find a cookery book with a collection of recipes that sets it apart from the others and a new book, La Mia Cucina, from Scottish Italian restaurant group, Tony Macaroni, does just that. With recipes designed by Italy’s most renowned top chef and epicurean, Fabio Campoli, the book includes 100 authentic recipes, along with helpful expert hints and tips. Buying a copy has the added bonus of helping one of Scotland’s top fundraising charities, Radio Clyde’s Cash for Kids. The proceeds from the first 5,000 books sold are being donated to this year’s appeal. Written with the home cook in mind, there are classic dishes for every occasion. There’s an authenticity about these recipes, a feeling of what might be served up in a traditional restaurant in Italy. You can experience a genuine taste of Italy without going to Italy. Chef Fabio Campoli’s journey through life has been shaped by his love of food and he shares that love through the recipes in this book. Divided into 6 sections, chose from starters, super sandwiches, starters, pasta, meat, fish & more, desserts, and find a collection of basic recipes at the end of the book. Basic’s include all you need to make the Italian favourites, stocks, sauces, gnocchi, risotto, pasta and a selection of pastries. All of these link back to recipes in the various chapters. Starters include black olive crackers with ham, sardines in onion batter with sweet and sour pine nuts and raisins. The pasta recipes include spaghetti with marinated anchovies & fennel with breadcrumbs and olives, gnocchi with sausage, rocket sauce & crispy breadcrumbs and bucatini with pecorino, prawns and asparagus. A mouthwatering range of meat recipes includes a delicious braised pork with fennel and prosecco. And if desserts are your thing, you wont be disappointed. Temptation includes, Chocolive pot pie, hazelnut cream on crispy waffles and delicious dark chocolate and hazelnut cake. A few words from Fabio, ‘ Gastronomic desire’ follows two connected but seperate paths, namely that of research and innovation that merge with that of history and tradition. I love to bring ancient dishes back to life, ad I am always looking for ways to excite people through a dish and it’s history. Gastronomic desires aside – but which I want to mention because they unite each one of us – there are those desires related to the nostalgia of a dish, the flavours of which is alive within us because it is linked to people, places, and adventures that have made a deep impression on our lives. It is exactly in this evocation of the hidden desires within my dinner guests that I find the inspiration to revive emotions in the kitchen that in reality never left’. 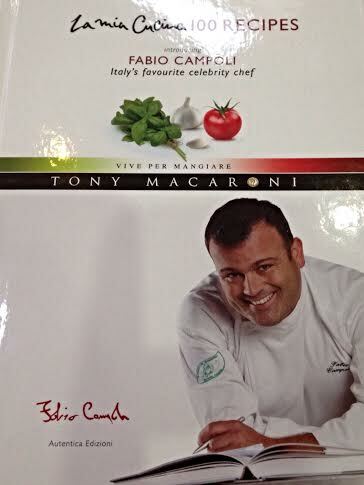 Thanks to Tony Macaroni and Fabio Campoli for providing a copy of La Mia Cucina. Tinned fish, admittedly mainly salmon and sardines are always in my store cupboard. Salmon is ideal for sandwiches and I just adore sardines on toast for my lunch or as quick healthy and filling snack. One of my speedy standby meals is pasta with sardines in tomato sauce, healthy, quick and on the table in 10-15 minutes. 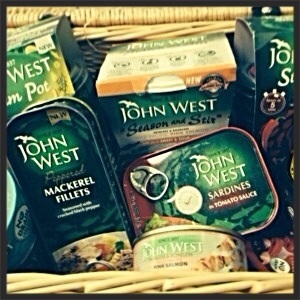 So, when John West asked me if I was interested in cooking some meals with a selection of their products, I wanted to find out more about tinned fish. John West has a great selection of healthy tinned fish. Quality – The fish used in canned seafood is not inferior. The quality is as good as fresh fish. Economical – Canned seafood is an economical way to buy seafood. Healthy and full of flavour – Canned seafood is great for making quick and healthy meals. There’s a great selection to chose from including, tuna, salmon, sardines and mackerel and you’ll also find these with with added sauces including tomato, lemon, mustard or BBQ. Tinned fish is packed full of health giving nutrients, especially omega 3 (except tuna as the omega 3 is lost in the canning process), which has been shown to have so many health benefits. These healthy fats are good for our brain, our heart and can also have a role in maintaining a normal blood pressure. Health experts currently recommend we eat two serving of fish a week, one of which should be an oily rich fish. So, given that a tin of sardines with soft bones provides around half of an adults daily calcium requirements, it’s definitely worth considering tinned fish as part of your weekly diet. I decided it was time to think outside the tin and try some new recipes. The John West website has a wide range of recipes and I used some as a basis for the recipes in this post. 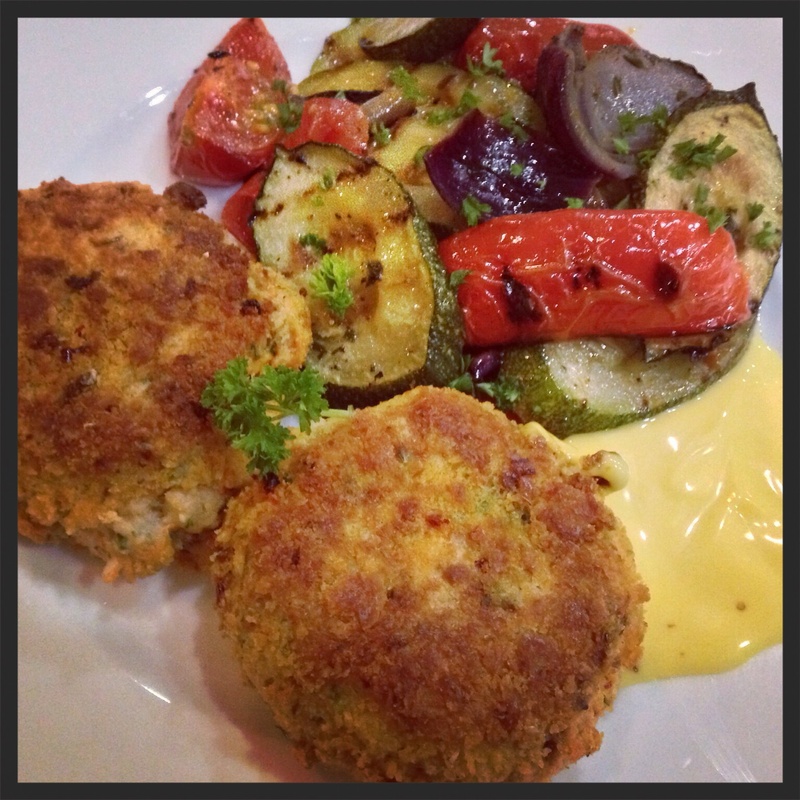 We love fishcakes in our house and the tinned red salmon was perfect for this recipe. It worked well and made a really tasty family meal. When my boys were small I used to make fishcakes as it was a good way to get them eating a variety of fish and to make sure they were getting their omega 3s. This recipe will work with any tinned fish and as well as making an easy family meal, it will also be excellent for making some canape size fish cakes. 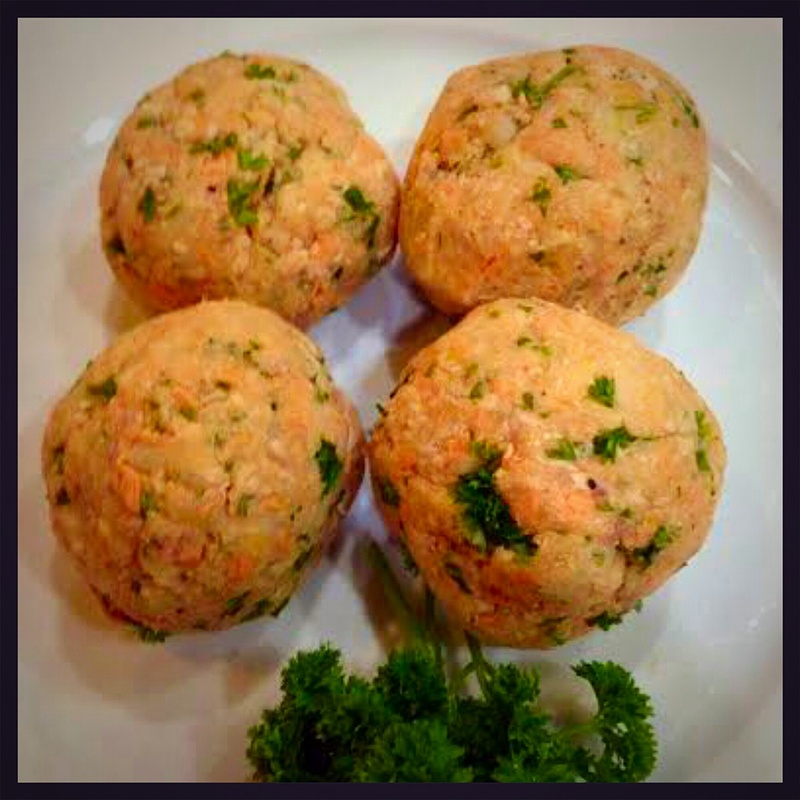 Salmon fishcakes – a healthy family meal from tinned salmon. Ingredients: 170g John West pink salmon skinless & boneless drained. 150g mashed potato chilled. 1-2 tbsp chopped parsley. Zest of half a lemon. 1 egg beaten. 50g breadcrumbs. (I used breadcrumbs from sundried tomato bread) 2-3 tbsp rapeseed oil. Salt and freshly ground black pepper. To prepare the Salmon Fishcakes recipe preheat the oven to 190c or gas mark 5. In a large mixing bowl add the mash potato, tinned salmon, parsley and lemon zest. Season with a little salt and milled pepper and mix together. Divide into 4 balls and shape into fishcakes. Leave to chill in the fridge for 15 minutes. Meanwhile place the flour, egg and breadcrumbs into 3 separate bowl. 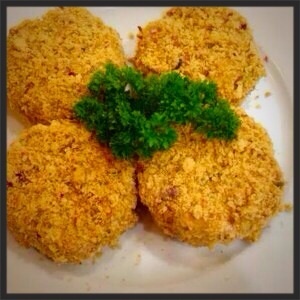 Dust the fishcakes in flour until completely coated,dip then dip into the egg and roll in breadcrumbs. In a large frying pan, heat the rapeseed oil and gently cook the fishcakes until golden on both sides. Place onto an oven tray and pop into the oven to warm through, for about 10 minutes. Serve with tartare sauce and vegetables. 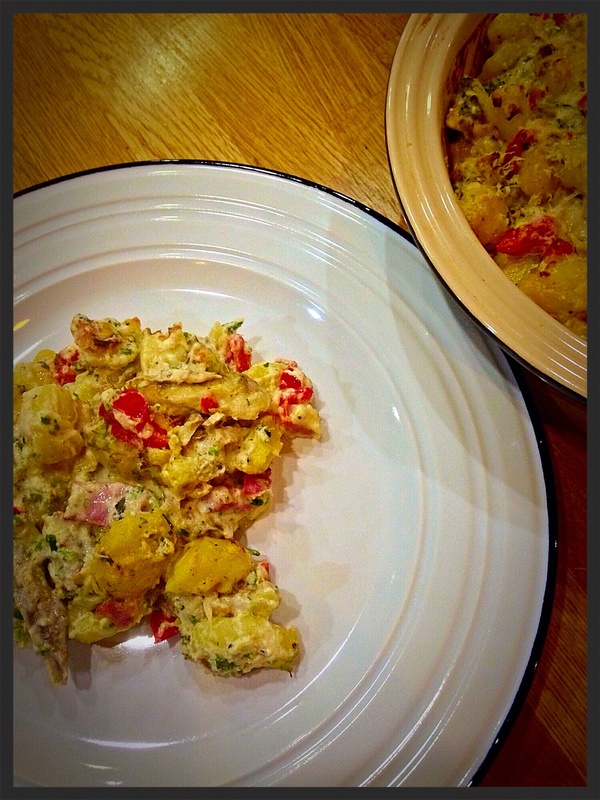 The second recipe is made with tinned mackerel and this was one fish product I had never used before, preferring to stick with either fresh or smoked mackerel. I was pleasantly surprised at how good it tasted and what surprised me more was that the entire family gave it the thumbs up. 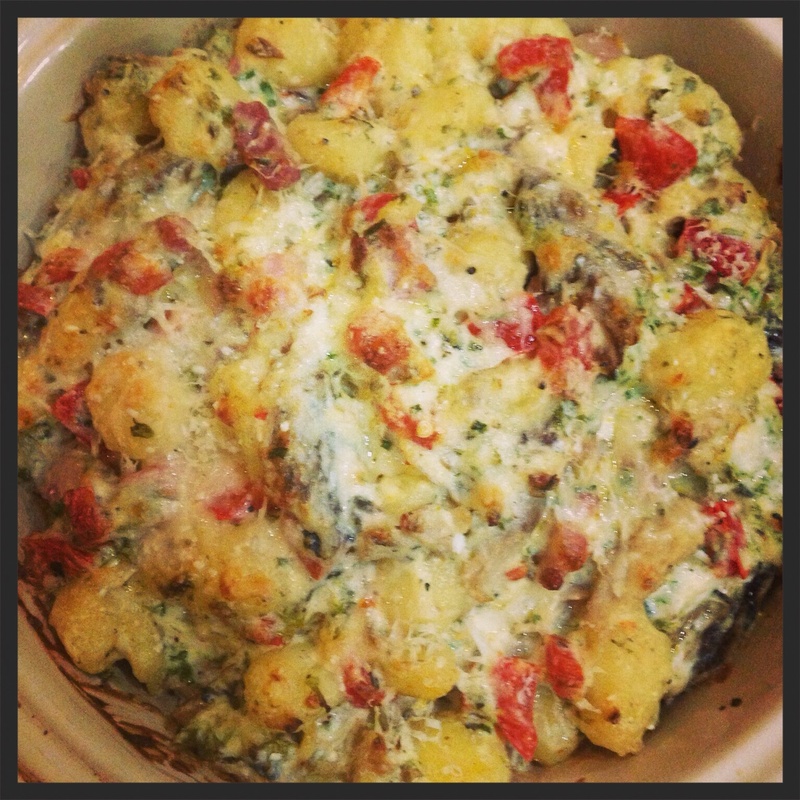 The addition of the gnocchi made it a nice filling dish and like tinned salmon it is packed full of nutrition and is great for famly meals. Ingredients : 100g diced pancetta. 1 red pepper chopped. 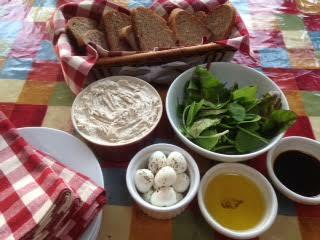 1 tbsp rapeseed oil (optional, see cooking instructions) 1 small tub of half fat creme fraiche. 2 110g cans of John West steam cooked mackerel – natural with no added brine. 400g gnocchi. Half a bunch of chives snipped or rosemary chopped. 5 tbsp freshly grated Parmesan. Cook the gnochhi according to the instructions on the packet and drain. Cook the pancetta and red pepper for 5 mins. 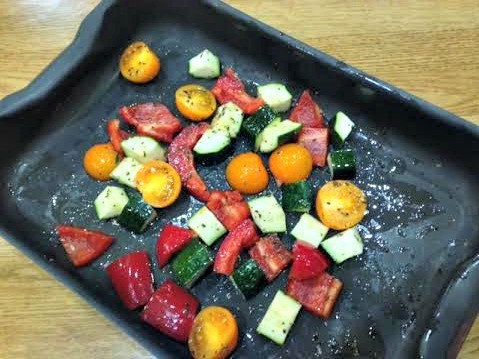 If using a non stick pan, no oil will be needed but otherwise add 1tbsp of rapeseed oil. Mix the natural with no added brine. 400g gnochhi. Half a bunch of chives snipped or rosemary chopped. 5 tbsp freshly grated creme faiche, herbs and half of the Parmesan together with the mackerel fillets and season with salt and freshly ground black pepper. Stir in the gnocchi, pancetta and red pepper and pour into large oven proof dish. 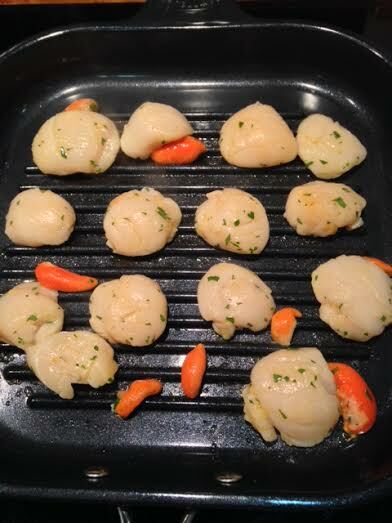 Sprinkle with the remaining parmesan and bake in the oven for 15 minutes or until bubbling hot and golden brown. Serve with vegetables. I was provided with a box with a range of John West Products. I was not paid and all opinions are my own. Do Sourdough —Slow Bread for Busy Lives by Andrew Whitley. Making sourdough bread needs only flour, water, salt and a little time. But what if time is the one thing you don’t have. 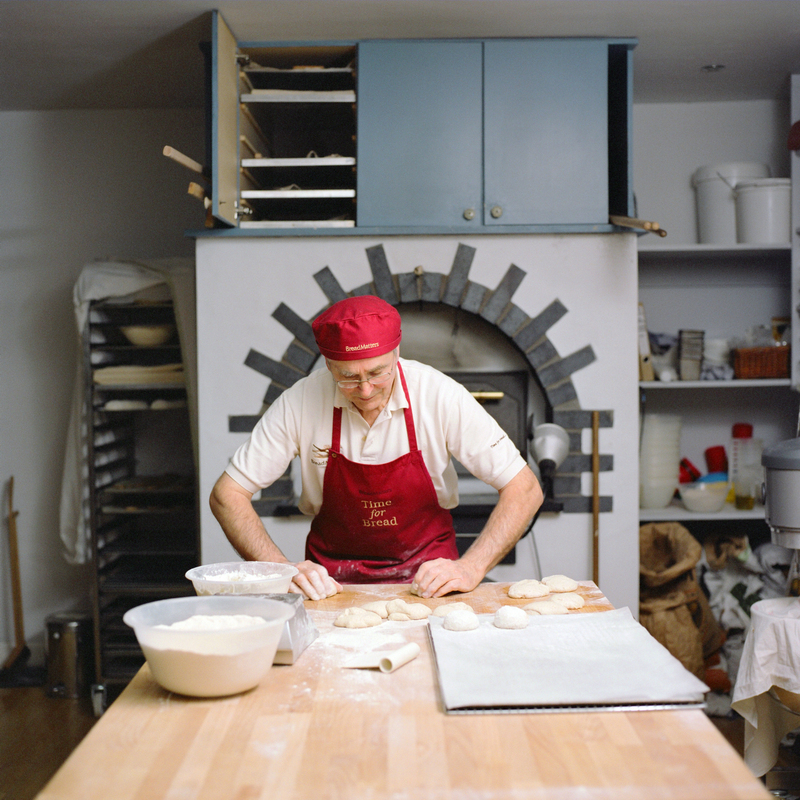 Do Sourdough – Slow Bread for Busy Lives is baker Andrew Whitley’s second book on bread making. 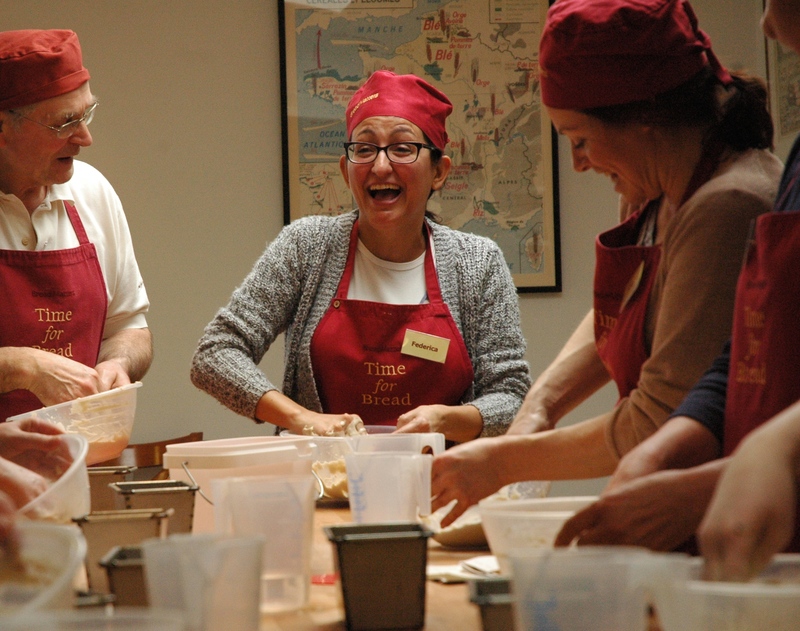 A baker for over 30 years, Andrew’s expertise was recognised in 2011 with a BBC Food and Farming Special Judges’ Award for ‘changing the way we think about bread’. Do Sourdough has two purposes, to dispel the myths that make sourdough seem complicated and intimidating; and to show how slow fermentation, with all it’s benefits, is both easy to manage and ideally suited to today’s busy lifestyles. As a bread maker, and having read many books on the subject, I can tell you that ‘Do Sourdough’ does exactly what it says, it dispels those myths. All those who thought they don’t have time to make bread, let alone sourdough are in for a real treat. This is a book that talks to you, works with you, makes sourdough understandable and achievable, regardless of your lifestyle. Experienced bread makers and novices alike will find this book extremely helpful. Following a brief introductory explanation to dispel the myths around sourdough, there is some useful and enlightening information about industrialised bread making in the UK. Did you know that in this country there is no legal definition for sourdough? Andrew explains the process behind the ‘pseudoughs’ the ‘sourdoughs’ that appear in many in-store bakeries. In the first chapter, there’s clear instructions to take the bread maker through the three stages of sourdough; the starter, production sourdough and final dough. There are recipes for both Rye and wheat starters with good advice on ‘starter housekeeping, general advice for handling starters of all kinds. Rye starters are a favourite and apparently the one you would take to your desert Island.The next two stages, making the production sourdough and the final dough are again, explained clearly, and there’s a good checklist to ensure your loaf is baked. As the author says, “success with sourdough has a lot to do with what you are looking for, and at”. It’s a clear and reassuring way to learn the different processes and there is some very useful advice throughout the book. ‘Be patient’, and interestingly, “there’s no right or wrong way of kneading”. Handy to know and it’s tips like these that will leave you feeling more confident by the end of chapter 2. The detailed recipes for different sourdough breads are uncomplicated and easy to follow and there’s also a recipe for an overnight, no-knead sourdough. Extremely useful if you find yourself short of starter anytime. The troubleshooting section with some FAQs is very helpful and will answer most questions, particularly those about problems with starters. Master the basics and the chapter on ‘Freestyle baking’ will confidently take you to a new level. “Once you’ve got the hang of it, baking with sourdough is tremendously liberating. That starter in your fridge is a powerhouse of possibilities. Sourdough ciabatta, soft rolls, pizza, crispbreads and crumpets, almost very kind of bread can be made with sourdough. Sweet sourdough is covered and there’s a heavenly recipe for a ginger and ginger sourdough bannock. This book is undoubtedly an invaluable reference for bread makers and those who long to make sourdough, but have been put off by the so called time consuming complicated process. As the Do Sourdough title suggests, it’s about slow bread for busy lives and the final chapter has suggested schedules to help bakers slot the vital fermentation time into periods that will fit with various lifestyles. ” The sourdough process requires many hours, but not of your time”. My book review for the July issue of Scottish Home and Country Magazine. 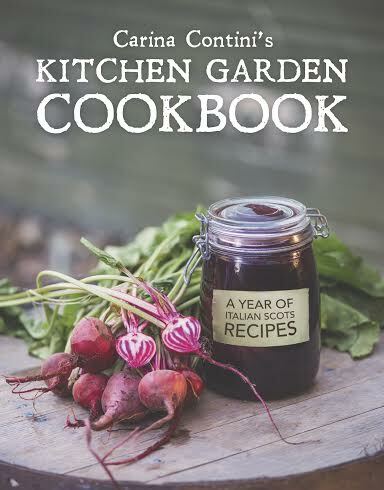 Carina Contini’s Kitchen Garden Cookbook is a collection of over 100 seasonal recipes that bring together Carina’s Italian family heritage and her Scottish roots. Some people are just born to cook, the passion for food evident in their daily life. Cara Contini is one of those people. In her new book, Carina Contini’s Kitchen Garden Cookbook: A Year of Italian Scots Recipes Carina tells the story of that inherited love of food, the connection to simple seasonal food, along with her personal recollections of growing up in an Italian Scottish family. After arriving in Scotland in 1919, Carina’s grandparents opened an ice cream shop in Port Seton which developed into a thriving café, restaurant and catering business. Fast forward almost 100 years and the mantle has now been taken up by Carina and husband Victor at their two award winning Edinburgh restaurants, Contini Restaurant and the Scottish café at the National Gallery of Scotland. At the family home on the outskirts of Edinburgh Carina and Victor established an outstanding kitchen garden that grows an abundance of seasonal produce. The garden now supplies the seasonal fruit and vegetables to both of their Edinburgh restaurants. Each monthly chapter celebrates the best of Scotland’s seasonal produce, with a selection of simply cooked recipes. Arbroath smokies, black pudding, venison, beef and lamb, are added to the kitchen garden fruit and vegetables to create a collection of mouthwatering recipes. The recipes include many old favourites such as Isle of Mull macaroni cheese with cauliflower, leek and potato soup with leek and barley bon bons and kitchen garden cottage pie. To celebrate Scotland’s wonderful soft fruit season, there are recipes for fennel, raspberry and cucumber salad, kitchen garden summer pudding and burnt cream with blackcurrant compôte. Recently, Farmer Michael Shannon of Damn Delicious, sent me a selection of his top quality Scotch beef and pork to cook with. The beef was the first to be cooked and it was as it said on the label, ‘Damn Delicious’. You can read about the beef and what I cooked in the previous blog post. 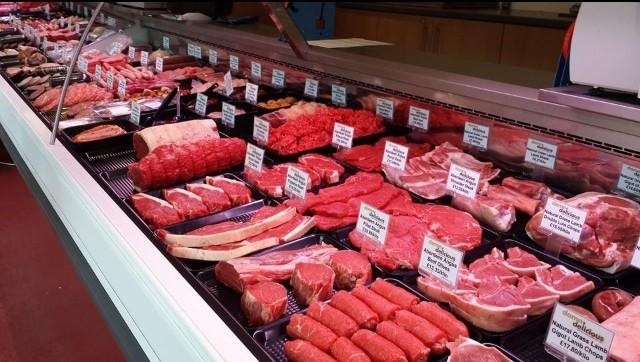 Damn Delicious have a fantastic range of Scotch beef, lamb and pork and as well as being an online butcher, this week the new farm shop opened, stocking the same wide selection of the farm’s delicious meat. The new Damn Delicious farm shop at Thankerton Farm, Biggar. Among the selection of meat I received were some very nice looking pork chops and I decided to cook them using a Quality Meat Scotland recipe from one of the recipe books that Damn Delicious had included with the parcel. Making the most of Summer. Simple & satisfying meals for easy Summer eating. The recipe I opted to use, ‘pork chops with rosemary & ginger wine sauce’ was quick and easy and made for a delicious meal served with new potatoes and vegetables. Ingredients: 4 pork chops, (2 1/2 cm thick) or boneless loin chops, leaves from 2 sprigs of rosemary-finely chopped, salt & pepper, a little olive oil or butter. Ginger Wine Sauce: 12 tbsp ginger wine, 200ml water or stock, 2 tbsp grainy mustard, 4 tbsp cream or half fat creme fraiche (optional), 1 tbsp finely chopped parsley. 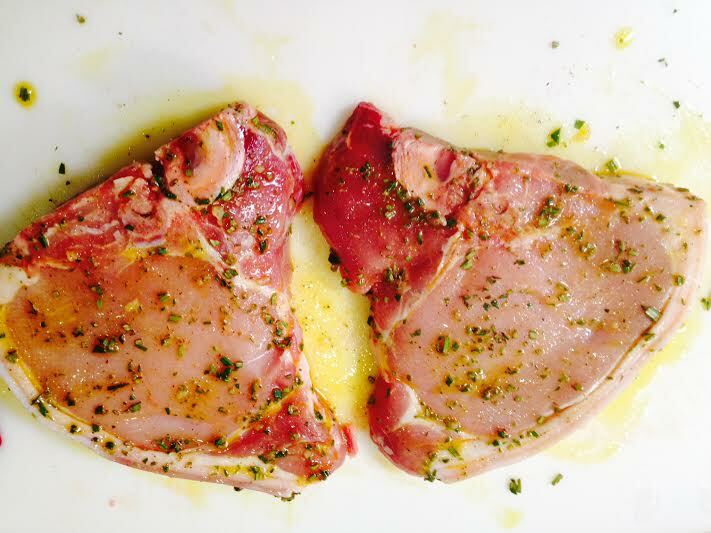 Method: Pork Chops: Sprinkle the chops with rosemary, salt and pepper. Heat a non stick pan until nice and hot then add a teaspoon of oil. Fry the chops for 6 or 7 minutes on each side until well browned. Remove the chops to a warm serving dish in a moderate oven while you make the sauce. Sauce: Reduce the heat then pour in the ginger wine, let it bubble for a few seconds then add the water or stock and simmer until the liquid is reduced by half. Stir in the mustard, cream (if using) and parsley. After 1 minute remove from the heat. Check that the chops are thoroughly cooked (those with the bone in will take a little longer than loin steaks) and if not quite done you can return to the pan with the sauce and simmer gently for a few minutes more. Serve the chops with plenty of the sauce spooned over. 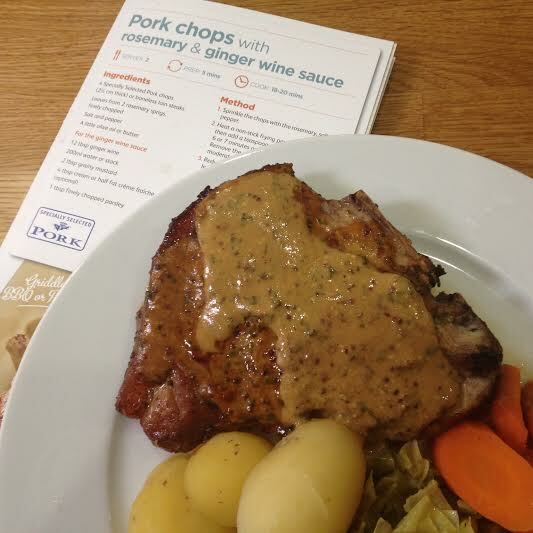 The rosemary & ginger wine sauce was the perfect accompaniment to the pork chops. 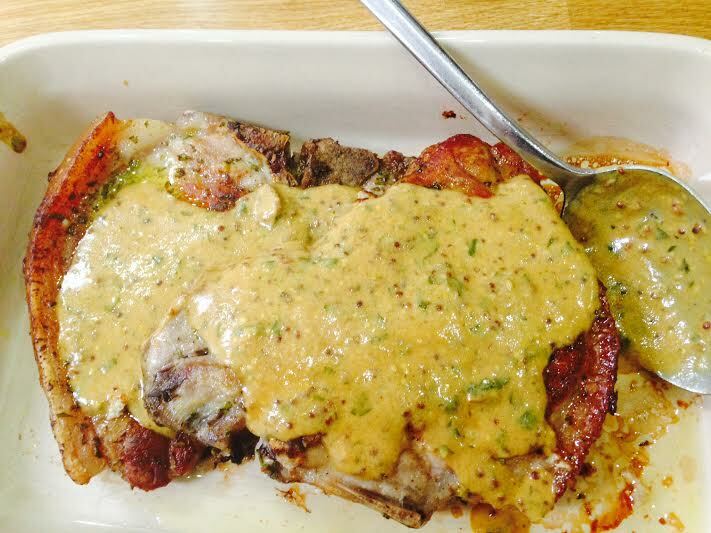 The quality and flavour of the pork chops was outstanding and you can view the full range of pork and other meat available on the Damn Delicious website. Additional recipes for quality Scotch beef, lamb and pork recipes can be found at the following links to Quality Meat Scotland websites.